The top drawing in this diptych shows students from the College of Sciences at UNAM marching in Mexico City on August 13, 1968. Last fall, violence and protest erupted in Mexico in response to the September mass kidnapping of 43 students from the teacher’s college in Iguala, Guerrero and the ongoing issues of police and government corruption. On November 20, 2014, there were major protests in Mexico City and across Mexico. 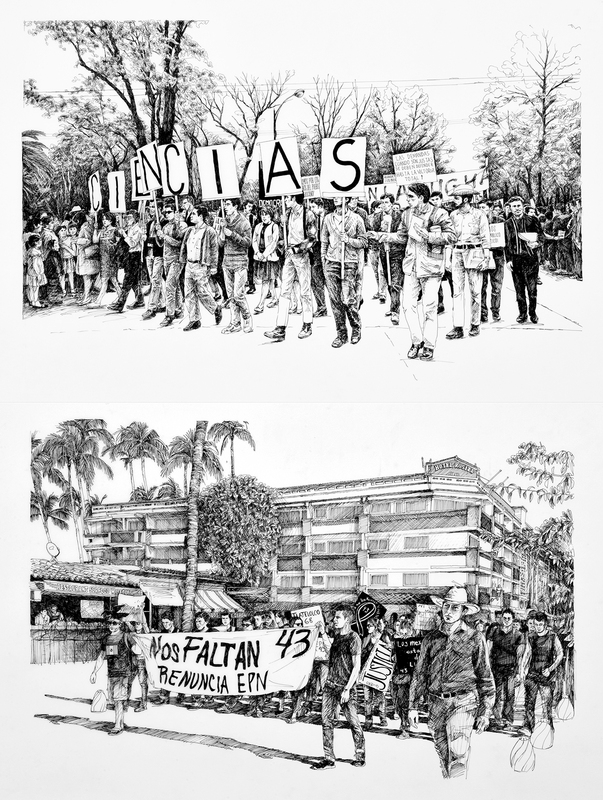 The bottom drawing of students marching through Puerto Vallarta is based on photographs I took while walking with the protesters.